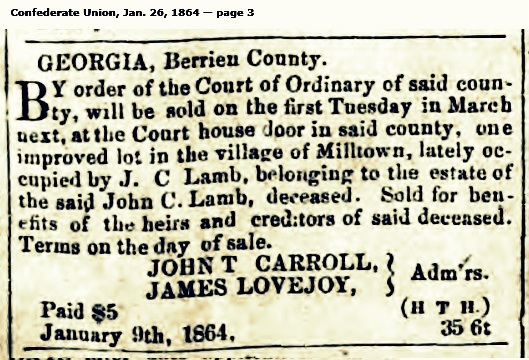 During the Civil War, two companies of men that went forth from Berrien County, GA were known as the Berrien Minute Men. From October, 1861 to January, 1862, the campfires of the Berrien Minute Men were made at Sapelo and Blackbeard islands protecting the approaches to Darien, GA on Doboy Sound and the Altamaha River. The Berrien Minute Men arrived on Sapelo Island in early October. 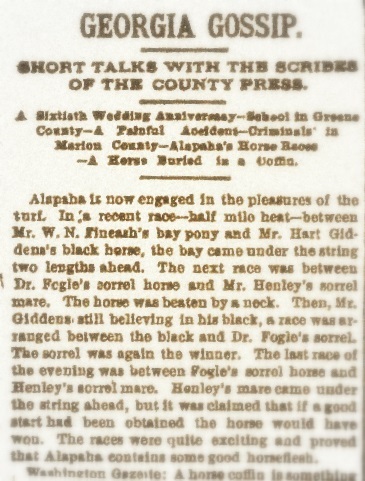 Despite conditions of camp life that drove some men away, the sea islands held a strange beauty for the Wiregrass farmers turned soldiers. While stationed at Camp Spaulding, Pvt. William W. Knight wrote, “we are camp on as pretty a place as I have seen. it is a high live oak grove one side open to the Atlantic its never ceasing roar about three quarters of a mile from camp.” William W. Knight was a son of Levi J. Knight, Captain of the Berrien Minute Men and original settler of Ray’s Mill (now Ray City), GA. Inside you will find a sort of map of our position and neighboring places. I think it is near enough correct to give you some idea of things about us. On the Atlantic side is a fine beach of firm white sand, with a good many shells scattered over it, not many of which are very fine however. When the winter gales begin to blow many nice ones will wash up, and then I will make a collection. Mattie, I wish you could stroll along our beach, or wander among the delightful groves of the Island, you would enjoy it so. If you would like to have some shells and other curiosities I can bring them to you when I go home, or send them to you if I do not go. 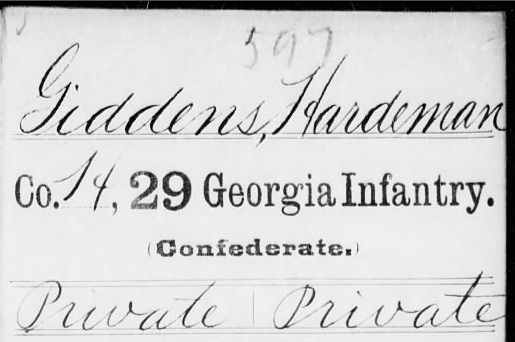 Harris’ correspondence is part of a collection of Civil War letters of Robert Hamilton Harris, housed in the Digital Library of Georgia. Harris’ map shows the location of the camp of the 29th Georgia Regiment situated on the south end of Sapelo Island, on a bluff north of Lighthouse Creek. The position of the Sapelo Island Lighthouse and the lighthouse causeway are shown, as well as the position of Spalding [Sapelo] Battery and masked batteries near Dean Creek. Today, Sapelo Lighthouse is one of five remaining lighthouses in Georgia, and one of three open to the general public, advises Sherpa Guides. Apparently represented but unlabeled on Harris’ map are Little Sapelo Island, Queens Island, and Wolf Island. Little Sapelo Island lies to the west of Sapelo, separated by the marshes around Duplin Creek. Doboy Island/Commodore Island, Queens Island, and Wolf Island lie to the south of Sapelo Island, across Doboy Sound. The relative locations of the neighboring creeks and islands are somewhat distorted. Harris’ map identifies Dubois [Doboy] Island and Wolf Beacon. Wolf Beacon was a lighthouse at the northern end of Wolf Island. The Georgia Legislature had ceded jurisdiction of Wolf Island to the United States in 1819 for the purpose of building the 55-foot high beacon light to complement the lighthouse across Doboy Sound on Sapelo Island. The beacon was constructed by the U.S. Coast Guard along with a keeper’s house and was in operation by summer 1822. Confederate forces eventually blew up the Wolf Beacon light to eliminate its navigational aid to the Union Navy. Harris’ map shows Captain Knight’s Company, the Berrien Minute Men, stationed at a battery defending the south end of Blackbeard. True enough, but it appears Harris mistakenly labeled St. Catherines Island to the north as Blackbeard Island. His depiction of Sapelo Island is actually the combined Sapelo and Blackbeard islands. 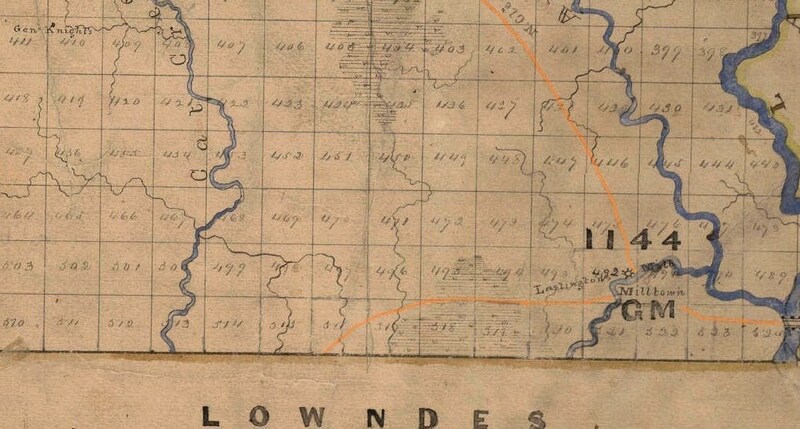 Harris’ combined Sapelo/Blackbeard clearly shows the prominent Northeast Point on Blackbeard Island, but failed to indicate the belt of marsh and the narrow Blackbeard Creek which diagonally separates Blackbeard from Sapelo. Captain Knight’s camp would have been at the inlet to Blackbeard Creek on the southernmost point of Blackbeard Island, on a dune and tree covered finger of land some 1400 yards wide lying between the seashore on the east and the creek on the west. 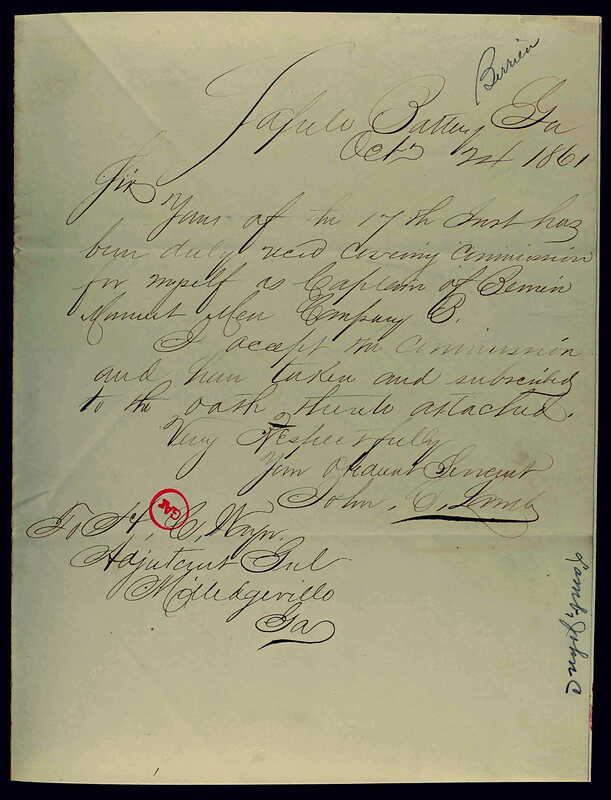 With their encampment established, the companies on Sapelo turned their attention to the organization of the regimental command. 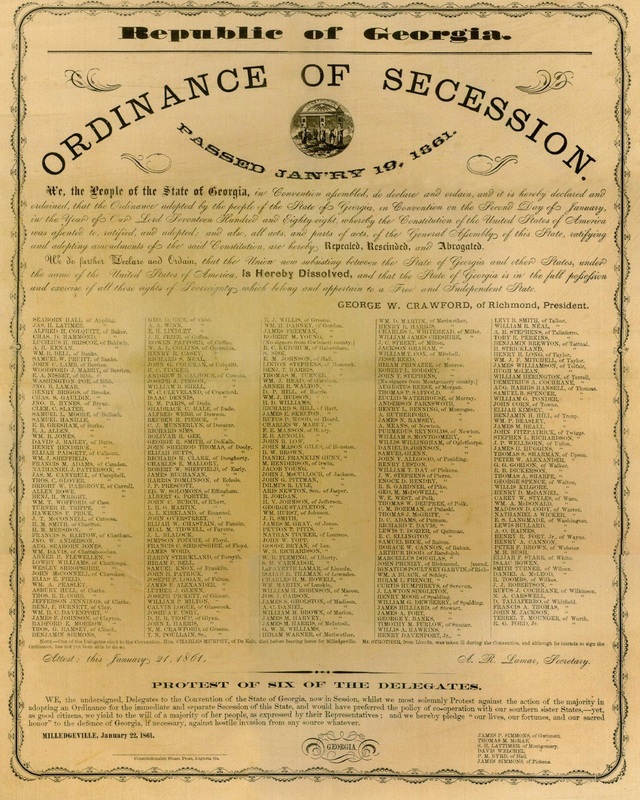 By the first of November the Regiment held elections for its officers. Robert Hamilton Harris (April 19, 1842-April 29, 1929) of Thomasville, Georgia, was the stepson of Rev. Robert Fleming. 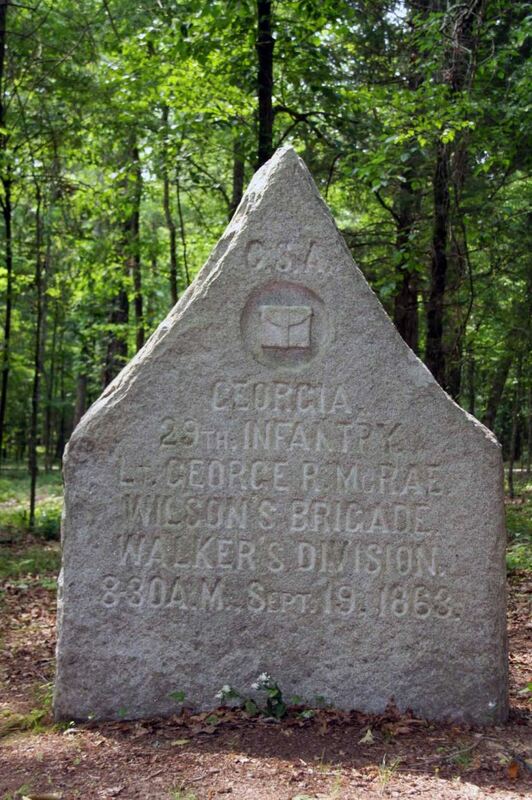 During the United States Civil War Harris served in Company A, 29th Regiment of the Georgia Infantry, reaching the rank of captain. 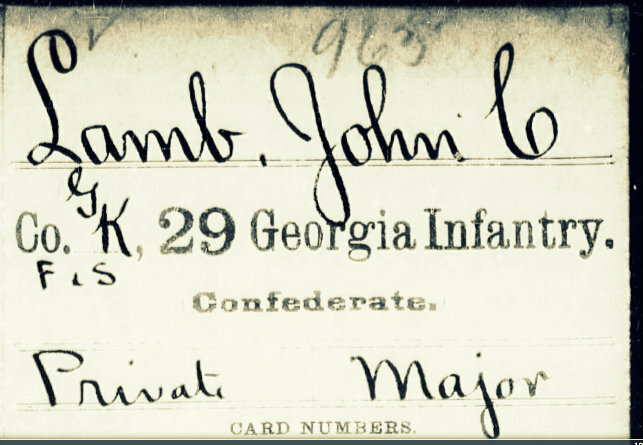 For nearly twelve years after the Civil War, he studied and practiced law. 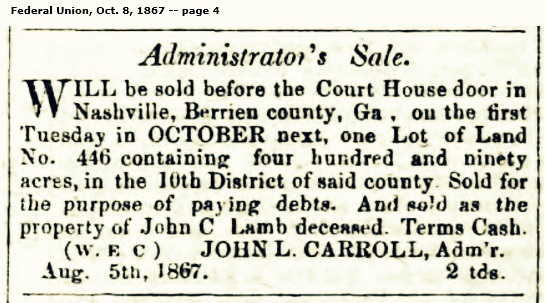 During this period he served as Solicitor of the County Court in Thomas county, railroad attorney, and Mayor of Thomasville. Harris became an ordained minister in 1878. He served as a circuit preacher in rural southern Georgia and as a pastor of Baptist churches in Columbus and Cairo, Georgia, as well as Troy, Alabama. In 1900, he accepted a professorship at Cox Seminary in College Park, Georgia, where he remained until his retirement in the 1920s. On October 13, 1863, Robert Harris married Martha (Mattie) Love (March 5, 1845-December 28, 1900). Martha Love was the daughter of Peter Early Love (1818-1866) of Thomasville (Love served in the U.S. Congress, 1859-1861).